An entreprenuer at heart, Reliv Founder Robert L. Montgomery figured out early in life what he wanted: to be his own boss. Like people all over the world, Robert wanted to be in charge of his own time, and have financial security to do and have the things in life he wanted. His 'Why' for founding Reliv was to create a company that gives others an opportunity to be their own boss, and to help others do the same. He wanted to show people a different way, helping them to grow personally, develop leadership skills, enjoy more time and have financial freedom. So in 1988, along with his wife, Sandy, Robert founded Reliv after experiencing health benefits from the nutritional discoveries of their friend Dr. Theodore Kalogris. Robert quickly recognized the vast potential of Dr. Ted's formula, which would become Reliv’s flagship product — Reliv Classic®﻿. Dr. Ted Kalogris, inventor of Reliv's first flagship product, Reliv Classic. Like many people, I had taken vitamins for years not really doing myself any good. Sandy and I started taking Dr. Ted’s formula in 1982 and we saw how the product helped our family's health.- Robert Montgomery, Founder & Chairman of the Reliv Board. Robert and Sandy could have enjoyed the product and stopped there. But they felt inspired to share their discovery with the world. And so Reliv was born. We gathered some of our closest friends, sat down at our kitchen table with yellow notepads and began to design the company that would become Reliv. At just 23 years old, Robert first got behind the concept of network marketing and chose this as the most effective means for sharing it with the world. 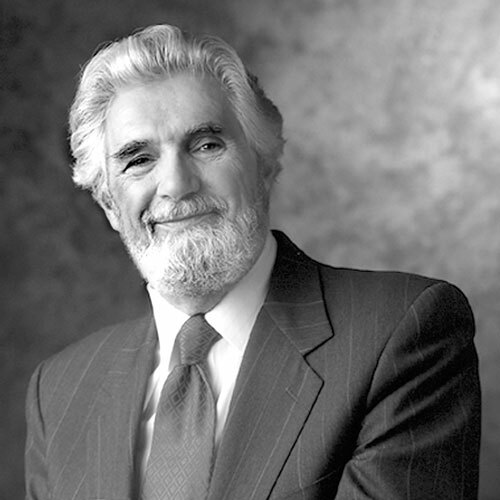 Reliv's culture can be credited to its founders, Robert and Sandy Montgomery. In fact, the Core Values and Core Beliefs created by them are still the driving force behind the company's decisions today. We hold ourselves to the highest standards of quality. Our ingredients come from the most reputable suppliers and undergo rigorous testing at each step in the manufacturing process. Our unique products support a unique selling proposition. We work hard to earn and maintain the trust of our Distributors, customers, employees and partners. We trust our products with our own families. We make detailed information about our products and business opportunity available to all. We value transparency in everything we do. We adhere to moral and ethical principles in all aspects of our business to build trust. People depend on our products to maintain their health and their business to maintain their livelihood. We take that responsibility very seriously. We believe everyone can benefit from our products and business opportunity. We want to change lives for the better. It’s our mission to Nourish Our World, and part of this involves the charitable efforts of the Reliv Kalogris Foundation. We are proud to partner with our Distributors to bring health and hope to thousands of people in need worldwide. Reliv believes that work/life balance is important for the family. Family is a value that permeates every level of Reliv as a philosophy and way of life. The power of Reliv is people. Build people, and people will build the business. That’s why Reliv invests in people. Strong relationships built upon respect lead to organizational growth and stability. Leaders care about people. Reliv partners with its Distributors to accomplish mutual goals together. We succeed together, move through challenges together, and celebrate together. Distributors succeed, and then Reliv succeeds, in that order. Work today leads to a better tomorrow. Every individual is accountable for his/her own actions and successes. Life is a series of choices that determine our future. Personal freedom isn’t easy, and Reliv offers the opportunity to control your own circumstances and put the future in your own hands. Security comes from within and comes with building a business that’s yours. By helping people help themselves, we further the potential for earned success and happiness. The best part of Reliv is who you become in the process of working with people and leading. When your pursuits are with purpose, you begin to feel better about YOU and achieve fulfillment. Personal development occurs for those who plug into the Reliv environment. Reliv works hard to keep its message simple. Success comes from repeating a few basic fundamentals and adding new people to our mission. Reliv will maintain an environment and atmosphere of encouraging people, celebrating their success and enjoying the journey.